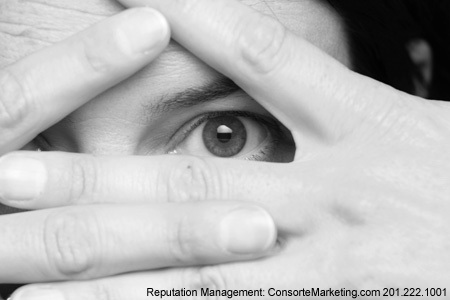 As online reputation management is a sensitive topic, most clients prefer to keep their identities anonymous. The case studies that follow are based on actual work we have successfully executed over the past 10 years. For the sake of confidentiality, we have used fictitious names, locations and other information. Acme Printing, founded by Russian immigrant Boris Smirnov has been in business for 10 years. He worked hard to build the company from a one-man show to a full-service graphics bureau with an outstanding record of quality customer service. Boris entered the online space and his business flourished. People were printing business cards, letterhead and other stationary through his service because of his combination of good pricing, good service and a good product. As his business grew, Boris captured market-share from his top competitors, and that’s where the troubles began. Boris’s service hadn’t changed; he still provided a great product and excellent support, and yet negative reviews started popping up all over the web, accusing him of selling inferior products, not accepting returns and rude customer service reps. After a little digging, he noticed that many of these reviews were cut and paste copies of one another. This raised his suspicions that it might be a competitor, disgruntled employee or jaded customer on a mission to destroy his company’s reputation. At this point, Boris wasn’t sure of the next steps, so he contacted a number of reputation management firms and decided to move forward with Consorte Marketing. Boris gave us some background on potential culprits. One that stood out was a competitor who he had a history of friction with, who also happened to have been a Russian immigrant with a similar story – we’ll call him Ivan. Historically, we found that some of these negative reviews correlated with the same timeframes as interactions between Boris and Ivan. Our first step was to gather information during a Discovery phase. Boris gave us the URLs for every review he had already discovered online, and we expanded it into a much more comprehensive list. We then categorized these reviews, prioritized them according to urgency for resolution, looked for similarities that would suggest they came from the same source, and put together clues that eventually led us to the source of the material. After we compiled this list, we had a handful of reviews that were unquestionably fake, and were able to get many of them unpublished, mostly from online industry forums and message boards. Some of the owners of these websites provided us with additional information that we added to our list of clues. Eventually we had 80% of the posts removed by talking with the administrators of many of these websites. Another 15% were removed via a more direct approach – Take Down Requests written by an internet lawyer. The remaining 5% could not be removed as they were on websites that are typically uncooperative in these scenarios. For those, suppression would have been the appropriate course of action. Through this very intense project, not only were we able to have much of the misleading information taken offline, but the trail of breadcrumbs led us to several online profiles where we were able to capture the culprit’s name and a picture of his face. We also retrieved location information from these profiles that matched the geo-location we obtained from his IP address and other sources. The person behind the posts turned out to be located in Russia. Ivan did not make the posts directly; this was done by an online marketing gun-for-hire who, for a fee, would maintain an aggressive smear campaign against any company or individual. This individual was informed that we had identified him and the posts stopped immediately. The next step was to convince him to release the name of the person or organization who hired him. As he was located in another country, enforcement was a challenge. However, through international channels and offshore connections, further action would have been possible. However, Boris was glad that we were able to clean up this mess, and put enough pressure on the source behind it to stop. It has been over a year and there has been no additional activity. Boris continues to get rave reviews from satisfied customers and his printing business continues to grow.